Group show featuring recent members work of the Sydney Printmakers. Group show featuring the work of Megalo Studio members produced in the studio during the 2018 period. Solo exhibition at Australian Galleries Sydney. The culmination of over two years work in the studio and including the first full display of the 'Birds of New Holland' folio. Anual exhibition by the 'Sydney Printmakers' organisation. Featuring etchings, engravings, lithography, linocuts, woodcuts and digital work by some of Sydney's most prestigious printmakers. Some of my prints will be available in a silent Auction to raise money for 'The Women and Girls Emergency Centre' in Redfern. Other artists in the auction include Bruce Latimer, Reg Mombassa, Nicholas Harding and Euan Mcleoud. 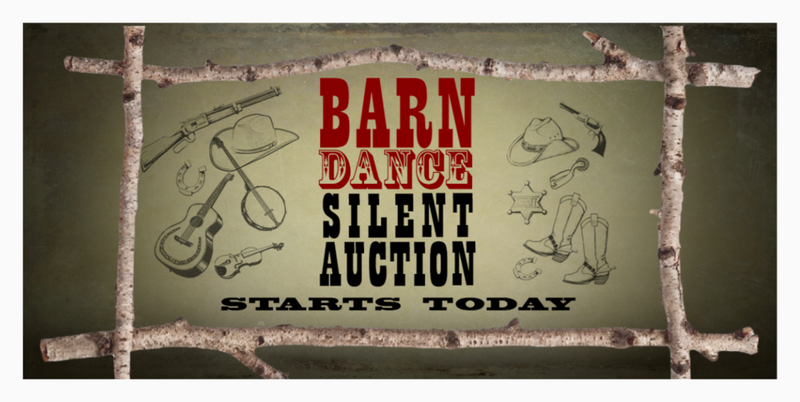 Tickets for the live event, which includes a fun night of barn dancing with a live band, can be purchased below. Alternatively, bids for any of the work can be made in the silent online auction also found in the link below. The National Art School Postgraduate Exhibition celebrates and showcases the achievements of students completing the Master of Fine Art. Featuring a diverse and stimulating collection of artwork for sale by some of Australia’s most promising contemporary artists, working across ceramics, drawing, painting, photomedia, printmaking and sculpture. Join the Print Council of Australia for the launch of the PCA Print Commission 2017, with an accompanying exhibition of past PCA Print Commissions, and a dedicated Student Showcase of prints selected from eight leading tertiary institutions, I am very happy to be selected in this exhibition as part of the Student Showcase, where I will be exhibiting a print created during my MFA degree (2016-2017). An exhibition of paintings, sculpture & works on paper - Clary Akon, Andrew Antoniou, Jenny Bell, Annette Bezor, G.W. Bot, Dean Brown, Jun Chen, Laura Courtney, Maryanne Coutts, Neil Cuthbert, Simon Fieldhouse, Angus Fisher, Michael Fitzjames, Francis Giacco, Richard Goodwin, Bruce Goold, Michelle Hiscock, Alexi Keywan, Fairlie Kingston, Peter Kingston, Jasper Knight, Alex Kosmas, Bruce Latimer, Kerrie Lester, Wendy Loefler, Janet Luxton, Mandy Martin, Jade Oakley, Rodney Pople, Ron Robertson-Swann, William Robinson, Garry Shead, Michael Snape, Peter Stevens, Pam Tippett, Richard Tipping, Greg Weight, Salvatore Zofrea. The Holmes Acquisitive Art Prize for Excellence in Realistic Australian Bird Art showcases Australia’s best realistic bird artists working in any two-dimensional medium and depicting a realistic Australian bird life scene. Up to forty finalists will be included in an Exhibition at the Caloundra Regional Gallery, with a major prize of $10,000. The winning artwork will be acquired into the collection of Dr. Gary Holmes. Artists Projects is please to present 'This is Print', a unique and intimate exhibition showcasing the diverse range of print artwork both from Sydney, and Oaxaca printmakers, an artist's studio in the heart of Oaxaca Mexico. This purely online show features both old and current works including prints and drawings. The show is accessible through the Australian Galleries website or the link above. The show is running online for a limited time only. All works are for sale. This exhibition will showcase the work of renowned Jeweller Tony White alongside various Sydney artists represented by Australian Galleries. I will personally be exhibiting a pair of ink pen and watercolour drawings. This exhibition will showcase the work of myself and ceramic artist Sarah O'Sullivan. The show will include a variety of Sarah's beautiful ceramic work as well as many of my drawings and etchings. The exhibition will run for a month and is located in Berrima, a beautiful town about two hours outside Sydney. This large group exhibition will showcase the work of the 'Sydney Printmakers'. The exhibition is curated by Akky Van Ogtrop and will feature various types of printmaking all taking inspiration from the theme 'Fun and Games'. This exhibition and print exchange program features a number of Australian contemporary printmakers and was organised by Rona Green. The theme of the exhibition is ‘Beastarium’ which artists can interpret however they like. The show is due to open at ‘Dubbo Regional Gallery’ and will be on display from 19th September to the 22nd November. 'Boundless and Borderless' is a print folio made in collaboration between 'Sydney Printmakers' and 'Open Studios Canada'. The folio of 40 individual prints was created in early 2013 to showcase printmaking through a variety of exhibitions and has so far been exhibited in several locations in Australia, Canada and also 'Impact 8' print festival in Scotland. The exhibition is now traveling through Taiwan with a total of 11 individual exhibitions at various Taiwanese Universities. My particular print is an etching titled 'Centralia' and depicts a harsh and rugged central Australian landscape. Hunters Hill Art Exhibition is the meeting place of established and emerging artists, annually presenting an outstanding selection of Australian art and sculpture. This Exhibition is located just 7 kms from Sydney CBD in the heart of the leafy sandstone peninsula, Hunters Hill. With over 350 artworks beautifully curated in 3 historic venues, this Exhibition is the perfect opportunity to add to, or start your collection. Hunters Hill Art Exhibition Prizes value over $23,000; thanks to McGrath Hunters Hill, Jaycar Electronics, Woolwich Pier Hotel, Hunter Holden, Hunters Hill Private Hospital, Hunters Hill Medical Practice, See the Dentist and Eurodux Framing. Botanica is an annual exhibition held at The Sydney Botanic Gardens showcasing the work of botanical artists from around the world. The exhibition is held in high regard and is known as Australia's premier Botanic Art Show. The theme of this years 'Botanica' exhibition is 'The Birds and the Bees'. My entry to the exhibition is a large drawing featuring a Gymea Lily along side it's pollinator the Eastern Spinebill. A video documenting the stages of creation of the drawing can be seen by clicking the link below. The show is due to open at ‘The Lion Gate Lodge’ within the grounds of the Botanic Gardens and will be on display to the public from 18th April to the 10th May. This exhibition brings together the work of three artists; Angus Fisher, Graeme Chambers and Sue Grose-Hodge, who share a pleasure in drawing the natural world. As its title (taken from a popular 1950s’ television quiz show) suggests, humour and ambiguity played a part in its making. Resembling an old Cabinet of Curiosities – a collection of the strange, the wonderful and the unexplained – these drawings, paintings, prints and photographs reflect diverse interests and different ways of working. The constant challenge of translating the world that surrounds us into something visible and tangible is our obsession. Art for Parks is an exhibition for nature lovers designed to raise awareness about the conservation of our wild places. The exhibition is designed to be held in conjunction with the IUCN World Parks Congress being held in Sydney from the 12th - 19th November. Featuring artworks by a number of artists the works represent a variety of wildlife from the world's national parks along with a statement of their significance. More information about the IUCN World Parks Congress can be found on their website below. Each of Australian Galleries' represented artists have been invited to exhibit a single work in an exhibition titled 'One of Each'. The Show will run for several weeks and is located in The Australian Galleries' Melbourne Gallery. The exhibition will feature a wide variety of work and I will be personally exhibiting a pen and ink drawing titled 'Salmon Head'. This Sydney show highlights the work of a number of Australian artists who, in tandem with the exhibition, are having their work featured in various Australian newspapers over the Australia day weekend. Papers include the ‘Sydney Morning Herald’, ‘Melbourne Age’ and “The Canberra Times’. This Melbourne show highlights the work of a number of Australian artists who, in tandem with the exhibition, are having their work featured in various Australian newspapers over the Australia day weekend. Papers include the ‘Melbourne Age’, ‘Sydney Morning Herald’ and “The Canberra Times’.